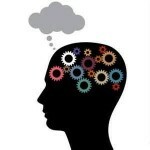 Harness your brain to be creative and solve problems! Gai holds a Master Practitioner Certificate in Neuro Linguistic Programming. To achieve this level of mastery required over 300 hours of NLP training and completion of written exams. 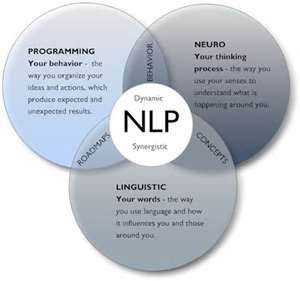 Neuro-linguistic programming (NLP) is an approach to communication, personal development, and psychotherapy created by Richard Bandler and John Grinder in California, USA in the 1970s. Neuro-Linguistic Programming describes the fundamental dynamics between mind (neuro) and language (linguistic) and how their interplay affects our body and behaviour (programming). NLP is an incredibly powerful discipline that enables people to unblock the structures of human communication and human excellence. By doing so people can think, communicate and manage themselves, and others, more effectively making it ideal in executive and leadership coaching. NLP explores the relationships between how we think (neuro), how we communicate (linguistic) and our patterns of behaviour and emotion. NLP processes and tools offer a way to create deep change very quickly. While it has been around since the 1970′s after 3 decades of research and refinements, and with the advent of functional mri scans and today’s neuro science understanding – we can now understand exactly how to change deep thinking patterns. There might be changes such as changing eating habits, creating new habits, clarifying values or missions when an NLP approach would be useful. Generally NLP sessions are focussed on shorter term outcomes or changes. It might only require 1-3 sessions for a person to make the desired changes. Better understand your staff’s and customer’s needs, motivations and behaviours. Contact Gai to see how NLP can help you or your organisation.